The day before I left for Austin APRE unveiled a new video. 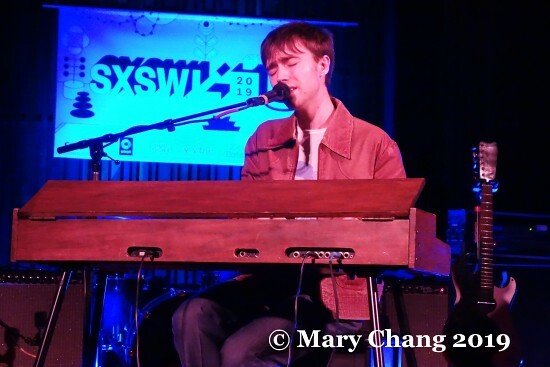 In case you somehow missed it, I previewed their appearances at SXSW 2019 in this Bands to Watch feature. ‘Gap Year 2008’, released by Charlie and Jules last month as a stand-alone single, is arguably their most singalongable (is that a word?) yet, filled with la la las and unlikely like anything you’ve ever heard of. Merging acoustic and electronic elements with that infectious chorus was already a great feat. In the official promo for the single, the pair appear to be on some kind of unusual plane trip, with a group of all too agreeable travel companions, except for a selfie stick duel. On a piece of paper is scrawled the message, “it’s not the arrival, it’s the journey”. There’s clearly something wrong with you if you don’t chuckle a few times watching this below. 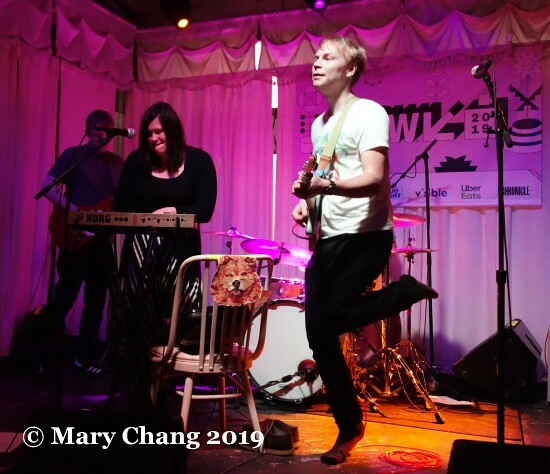 Stay tuned for more on APRE at SXSW 2019 very soon. Debut album klaxon! Australian artist Harriette Pilbeam, better known under her stage name Hatchie, will be releasing her debut ‘Keepsake’ this summer. It will follow the dream pop singer/songwriter’s ‘Sugar & Spice’ EP, released in the second half of 2018, and one-off single ‘Adored’ (see a live performance from Seattle last year through here). To preview the upcoming LP, Pilbeam has revealed the lead single and its associated video. ‘Without a Blush’ is a crunchy pop tour de force. Partake in it with your eyes and ears below. We’re all waiting with bated breath for the release of ‘Keepsake’, scheduled for the 22nd of June on Double Double Whammy. We’ve written a fair bit about Hatchie on TGTF; come through to catch up. Unless there’s an added horn section, and even that doesn’t happen too often, it’s rare for us to write about a six-piece band here on TGTF. The band members of Sports Team met at Cambridge University, where their guitar-driven rock didn’t find too many fans among their fellow students who preferred hip-hop and dance. You snooze, you lose: the now London-based group have plenty of hype going into their debut appearances at SXSW 2019 next week. Decidedly not punk or lo-fi, outlets like the Guardian are calling them part of the ‘indie revival’, recalling (I suppose) the heady days of Weezer, Franz Ferdinand and Maximo Park. Last year, Sports Team released their debut EP ‘Winter Nets’, produced by Dave McCracken (Ian Brown, Depeche Mode, Oh Land) and out now on Nice Swan Records. EP track ‘Camel Crew’, a wonky guitar-pop tune, was named #10 on Noisey’s Best Songs of 2018, described as “stray[ing] into the tradition of great British groups like The Beautiful South and Pulp”. The song’s lyrics are controversial to some, as they poke fun at a period in the not too distant past where a fellow South London band was getting the lion’s share of hype, much to Sports Team’s cynicism. It probably helps that they’re London transplants and can cut through the pretension of the Capital’s music scene with x-ray vision. I can appreciate the shade. Sometimes you need to be on the outside looking in to be able to suss what’s really going on. In the video for single ‘Margate’, frontman Alex Rice is throwing his limbs around in the seaside town and dancing like no-one’s watching. You gotta give credit where credit’s due. To be sure, Rice’s vocals will never be confused with the dulcet tones of, say, Tom Chaplin. Like David Byrne in Talking Heads’ heyday, the whole point of the vocals in Sports Team is to be yelping and dissonant, another wild card element to their sound that plays off of the frenetic played guitars and drum beats. While this style isn’t new, plenty of people are taking notice including The Vaccines, who appear to now be playing catch-up. 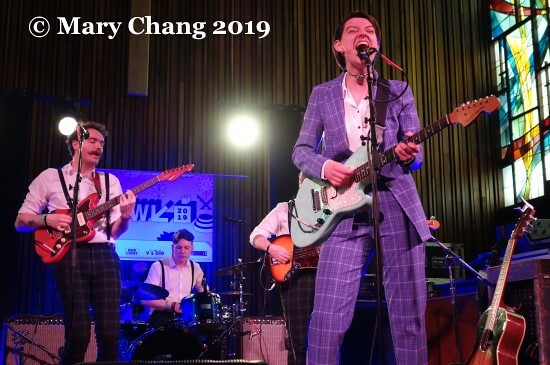 Sports Team will appear at 1 AM on Monday, the 11th of March, at the DIY and UK Department of Trade (DIT) showcase at the British Music Embassy at Latitude 30. 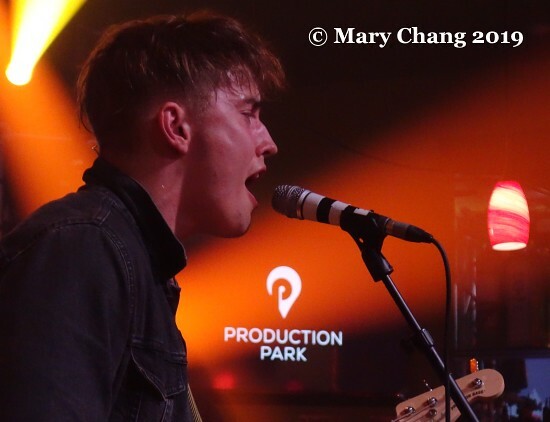 Like The Snuts who I wrote about on Tuesday, Sports Team will be appearing Thursday night, the 14th of March at the Good Karma Club showcase being put on by Abbie McCarthy of BBC Radio 1 and BBC Introducing at SXSW 2019 (set time 10 PM). Since seeing him and interviewing him at SXSW 2017, Ten Tonnes has been a firm musical favourite of mine. I’m delighted to relay the news that he’s decided to release a live fan favourite as a proper single. ‘Lucy’, with all of Ethan Barnett’s squeals, is a perfect song to work up the fans live, and now we’ve got an official recorded version. Part lyric video, part animated video, watch the video ‘Lucy’ below. All of our past coverage on Ten Tonnes is through here. The Pale Waves train hasn’t really slowed down at all, has it? The band recently toured with their in real life and labelmate buddies The 1975 from the start of this year. I don’t really get it, but the Manchester indie rock group can play a packed out Ritz in Manchester to loads of adoring fans, so what do I know? If you happen to be in that latter camp, good news, Team Pale Waves. Someone had the good idea to film them performing their single ‘Eighteen’ at that aforementioned Ritz show last September, and the band are now sharing the performance. Watch it below. Past articles on Pale Waves here on TGTF can be read through this link.